We all want a beautiful garden, right? But, which flowers are best? 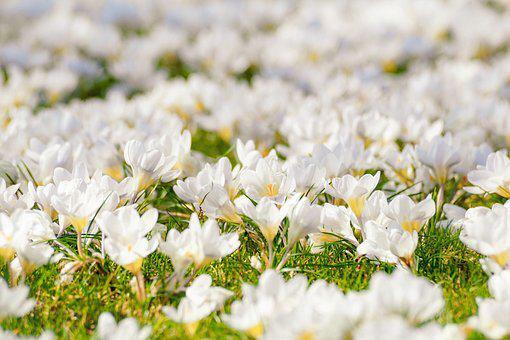 In this blog post, we are going to take a look at two of the most popular types of flowers that will never look out of place in your garden. A sturdy plant that can survive winters as far north as Southern Canada, the pansy is capable of weathering most climates throughout the world. For this reason, it wouldn’t look out of place in your garden at any time of the year, meaning it’s a flower that can blend into the rest of your real flower mix. As well as that, the round shape of its five petals also makes it relatively easy to make artificially if you would prefer to go down this route. Although most artificial hanging baskets look very realistic compared to the real thing anyway, the simplistic design of the pansy means that an artificial version is often barely indistinguishable. This means that you can appreciate its looks as much as you could have done with real flowers, only without the inconvenience of them wilting and dying over time. But, for most people, there is simply no fun in that. Check out https://thehippiehouse.com.au/collections/hydroponics if you need some assistance with growing plants and herbs for your garden. Inspiring Shakespeare’s romantic writing in the 17th Century, this flower of love can spark heartfelt feelings whenever you look at it. And if that doesn’t happen, then at very least it’s a beautiful specimen that will brighten your garden and your mood at the same time. They’ve been a popular plant among gardeners for decades, and for good reason. The geranium has long found its place in the flowerbeds in homes and the plant pots of offices. One of the reasons this traditional plant is featured in so many gardens is the array of colours it can come in. Ranging from blue and orange to red, white and pink, the geranium is a highly versatile flower as well as being a stunningly attractive one. This means that it can easily fit into the design of your garden. The fact that there are various kinds of geraniums means that they are collectively capable of blooming during all seasons of the year. This type of flower will never look out of place in your garden. They can have the durability to withstand the climate all-year round depending on the type of geranium you buy. Head to https://www.homestratosphere.com/types-of-geraniums/ to find out about the 63 typs of geraniums. So there you have it: two beautiful flowers that will never let the design of your garden down. Which flower is your favourite?